Orientation is a mandatory two-day program for all new first-year students and will be held in the month of June, the summer right before the start of your fall semester. Orientation is designed to help new students get off to the right start by learning about academic requirements, meeting with faculty major advisors, and learning about campus programs and services. Students cannot register for classes until they attend Orientation. Orientation for first time freshmen is overnight and is mandatory for all students to spend the night on campus in the assigned room in the residence hall that they will receive when they arrive. If you have a special accommodation that we should be aware of, please contact the Orientation office at least a week prior to coming to Orientation at 707-664-4464 or orientation@sonoma.edu. Students who are admitted into EOP will attend a separate orientation session. What topics are covered at Freshmen Orientation? Students will start the morning with a welcome to the university by the director of Transistion Programs, the Provost of the University and a student representation from Associated Students. 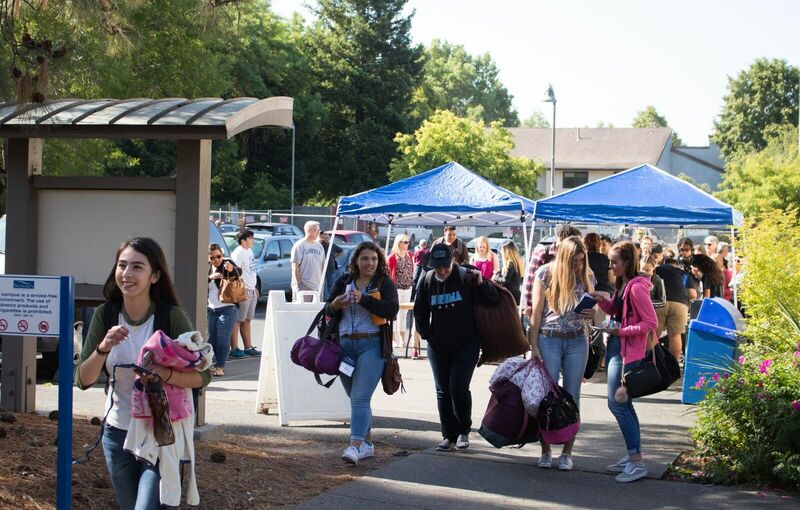 Then, students break off into Orientation groups with a trained orientation leader and other students with whom they will spend the next 2 days getting to know and experiencing their introduction to Sonoma State University. The days will continue by learning about different schools and their academic requirements, meeting with faculty major advisors, and learning about campus programs and services. They will be able to experience using the dining facilities and the Recreation Center, just like they will as students.